Scotland's capital, Edinburgh, draws on its history to appeal to visitors—with good reason. 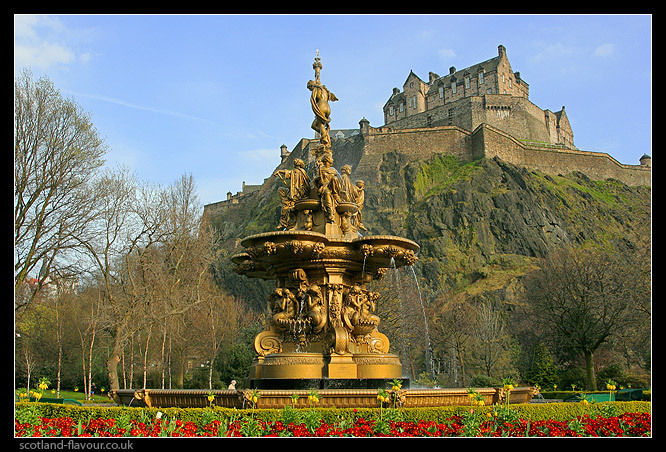 The Old Town of Edinburgh reverberates with the history of Scottish royalty and romantic literary figures. Crossing Princes Street and glimpsing Edinburgh Castle towering over the New Town is like passing through a time warp to the late 1700s. Edinburgh has also launched more than its fair share of notable figures onto the world stage: Sir Walter Scott, Robert Louis Stevenson, Sir Arthur Conan Doyle, Alexander Graham Bell and more recently J.K. Rowling. But Edinburgh isn't just wrapped up in history. Tourists flock there every summer to partake of the extraordinarily vibrant atmosphere of the Edinburgh Festival—it's the world's biggest performing-arts festival (really, six distinct festivals in one). While the festival time may be the busiest tourist season in Edinburgh, the busiest night of the year is Hogmanay (New Year's Eve), when Edinburgh invites visitors to one of the biggest street parties in the world. Returning visitors will discover that Edinburgh has been reinvigorated by the opening of the Scottish parliament building, new and improved tourist attractions, a renaissance of its previously ignored waterfront, and the building of a new tram system.